Clip Art Borders are available here. Great images, include them in your own designs. No signup, instant download! 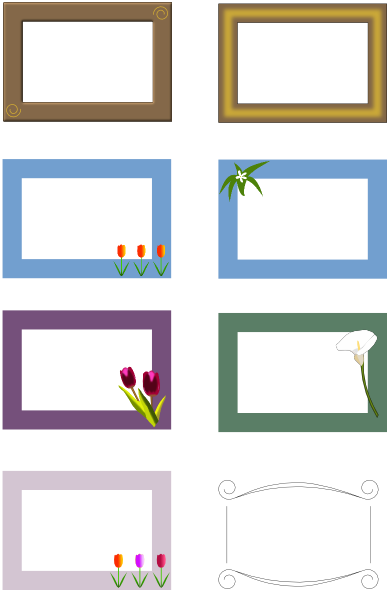 Here is a sample of some of the Borders clip art images you will find on this site. Click the image or click here to go directly to the Borders clip art page. Would you like to suggest other clip art images you would like, or variations of the Clip Art Borders here. Please click here to request clip art you want to see. Sun Clip Art is available here. Great images, include them in your own designs. No signup, instant download! 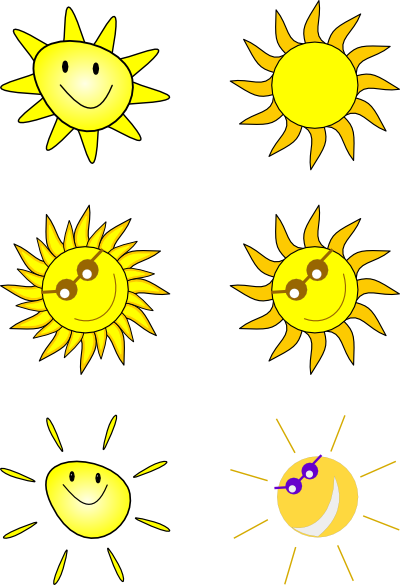 Here is a sample of some of the Sun clip art images you will find on this site. Click the image or click here to go directly to the Sun clip art page. 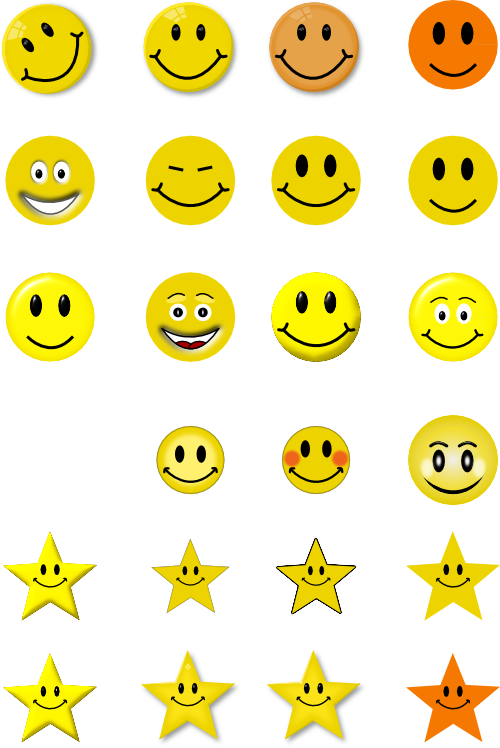 Would you like to suggest other clip art images you would like, or variations of the Sun Clip Art. Please click here to request clip art you want to see. Rainbow Clip Art is available here. Great images, include them in your own designs. No signup, instant download! 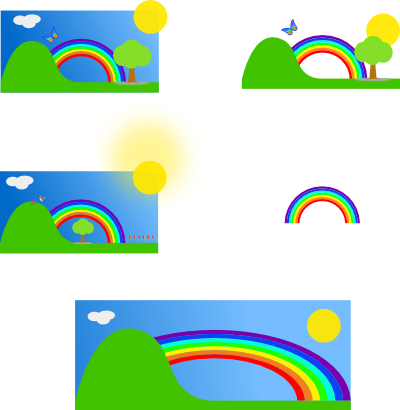 Here is a sample of some of the Rainbow clip art images you will find on this site. Click the image or click here to go directly to the Rainbow clip art page. Would you like to suggest other clip art images you would like, or variations of the Rainbow Clip Art. Please click here to request clip art you want to see. What clip art would you like? Would you like to see variations on the existing themes? Changes to existing images and designs? Please leave your suggestions here in the comments below. Your feedback is welcome, thankyou! Have you tried searching for specific images? You can try here if you like, but please leave your suggestion also, thanyou. Find free clip art here. Quality images, no signup, instant download. Clipart for your personal use and designs. 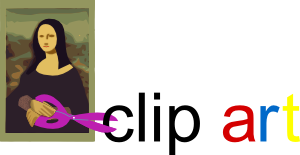 A1SITES.COM has a growing range of clip art images available. Here is a sample of the clipart you will find. 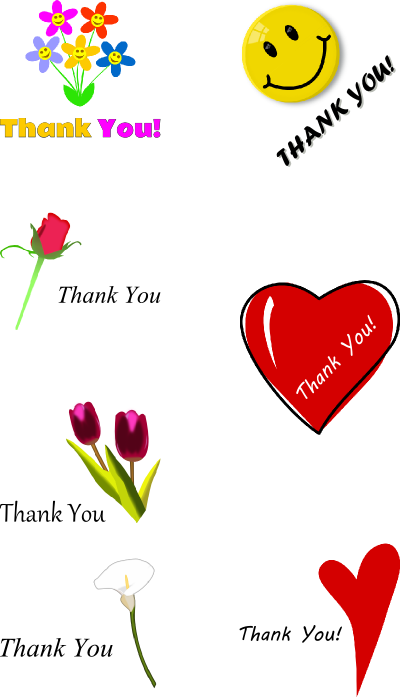 Click on the image or click here to visit free clip art now! You can even suggest what you would like! Perhaps other clip art images you would like, or variations of the existing images and clipart. Please click here to request clip art you want to see.